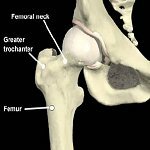 The hip joint is a ball and socket synovial (fluid filled) joint. The hip joint allows the femur the motions of flexion, extension, abduction (moving away from the body), adduction (moving toward the body) and rotation. A very stable joint, the hip joint is formed by the union of the head of the femur (ball) and the acetabulum (socket) of the hip bone (Fig.1). 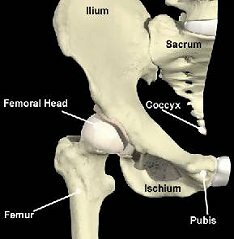 The hip bone is comprised of the ilium, ischium, sacrum, pubis and coccyx. The femoral head is covered with a variety of hyaline cartilage called articular hyaline cartilage (Fig.2). Articular hyaline cartilage possesses features that permit it to laterally dissipate vertical compressive forces experience during weight bearing. The fibrocartilaginous rim of the acetabular labrum increases the depth of the socket and adds additional stability to the hip joint. Ligaments connect bone to bone. 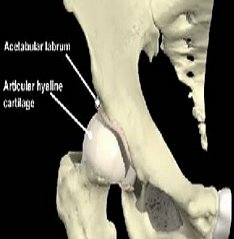 The capsular ligaments (Fig’s.3 & 4) of the hip maintain the proper positioning of the femoral head (ball) within the acetabulum (socket). 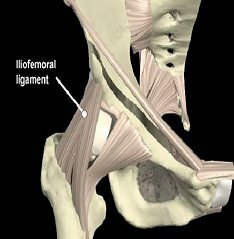 The iliofemoral ligament considered the strongest ligament in the body controls hip extension. 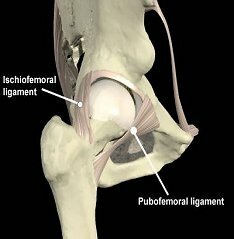 The pubofemoral ligament sits lower than the iliofemoral ligament and also helps to control hip extension. The ischiofemoral ligament reinforces the posterior portion of the hip joint. It prevents hyperextension. The hip muscles (Fig.5) can be categorized into five groups based on their location. 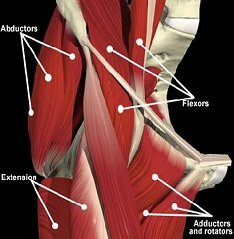 These muscle groups are responsible for the motions of the hip. Hip braces are available in a wide range of styles, sizes and configurations to fulfill a variety of medical applications for hip issues including hip replacement and hip dysplasia. Read more..